Enochian Angels have an ancient energy surrounding them that puts you into a unique frame of mind. They have raw, earthen energy around them... they make you envision civilizations of warriors, princesses & mystic beasts. Their power is tangible when you are in their presence. 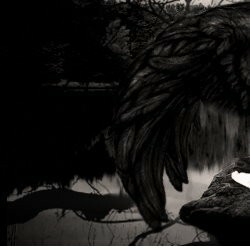 If you are someone who enjoys ancient, mystic energies & being around entities that bring out the most fantasy-filled visions then an Enochian Angel may be the perfect fit for you. There are many different Enochian Angels each with their own abilities & personalities so read through each description before you decide. This Enochian Angel is Kokbiel, the ruler of the planets. His powers lay with astrology, astral realm & the universe. He works with the galaxies, planets, stars and all the realms. He is powerful with an electric, ethereal energy. If you are someone who is pursuing knowledge in the astral realm, astrology, planetary magic and such Kokbiel is a good companion to assist you in these matters. He is an Immortal as well as an Angel. A custom conjuration means we choose the spirit that best suits you or if it is a gift the person you are gifting to. However, in the case of Immortals it means we are binding a direct channel between yourself & the Immortal which means you do not have to perform any invocations, rituals, ceremonies, etc to be in contact with the Immortal, all the work is done for you when you receive & you're ready to interact with them. We recommend you place the date of birth of the person this custom conjuration is for in the Notes box below! Custom conjurations are personalized because the binding is done specifically for you & with your unique energy signature in mind! Custom Conjure Succubus Spirit - Sexual Power Pleasure Custom Conjure Astral Angel :: Bringing You Closer To The Universe Reverse Adoption :: The Spirits Adopt You!